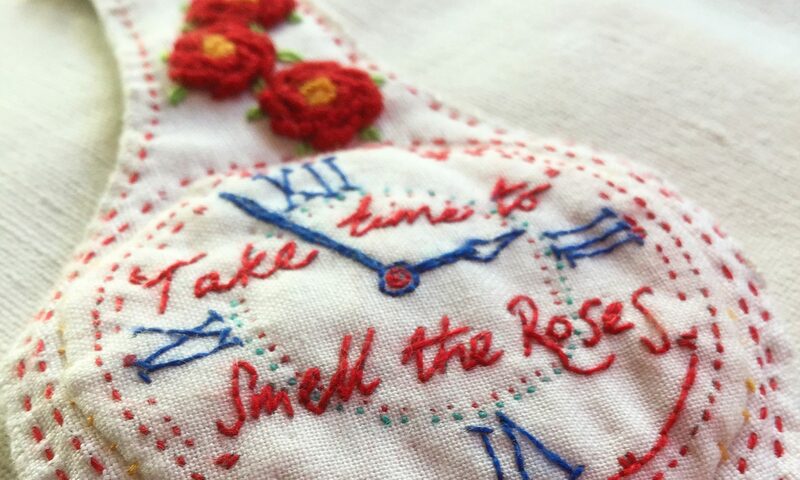 What makes a perfect evening – Fabrics, sewing and good company. 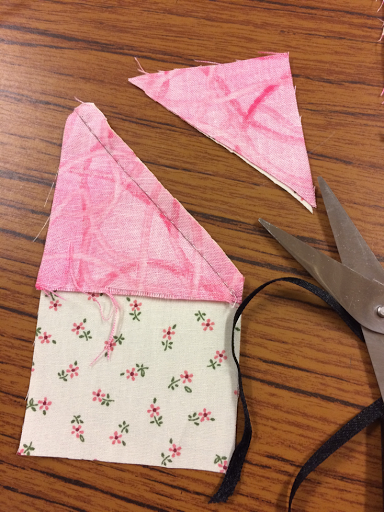 This was me at my quilt group. 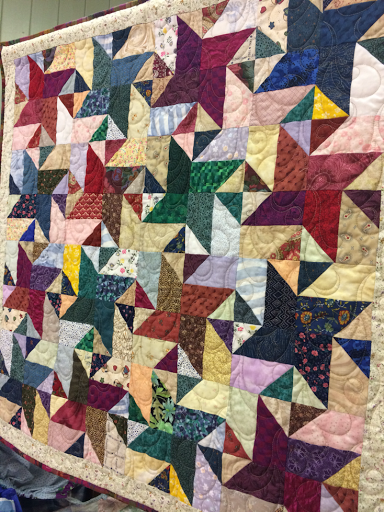 We’d had a wonderful talk on scrap quilts then we were set a task – to make a quilt block by hand in an hour – making blocks for the quilt pattern above. If you’d like to make one, this is how to do it. 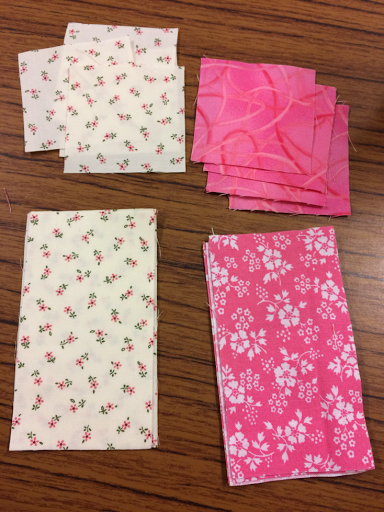 Start with Cream fabric and Pink fabric cut as follows – 4 x two and a half inch squares and 4 x two and a half inch by four and a half rectangles. 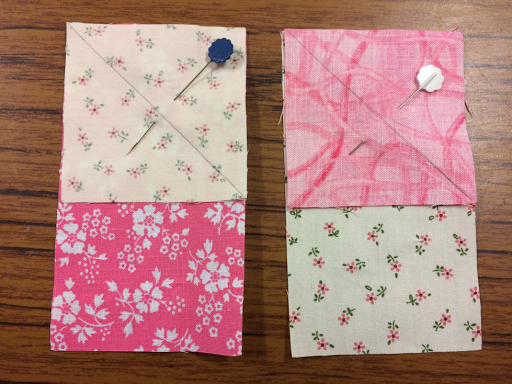 Draw a pencil line diagonally on the wrong side of the square blocks, pin onto the rectangles (right sides together) as shown above, then stitch using running stitch, as shown below. 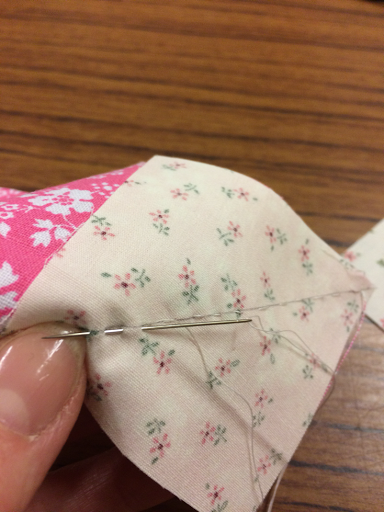 Trim, finger press the seam open and stitch the blocks together as shown below using a quarter of an inch seam allowance. 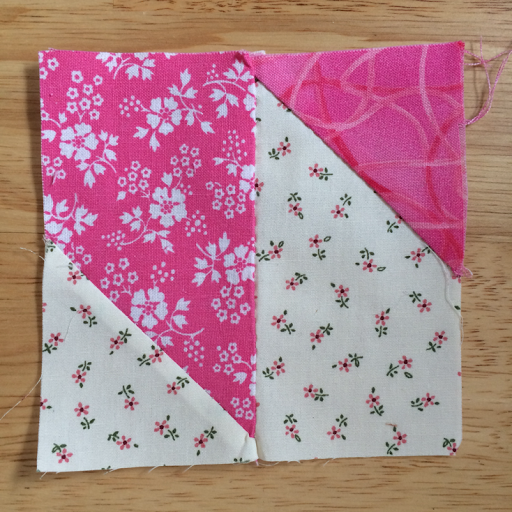 Then stitch the pieces together to complete the block. 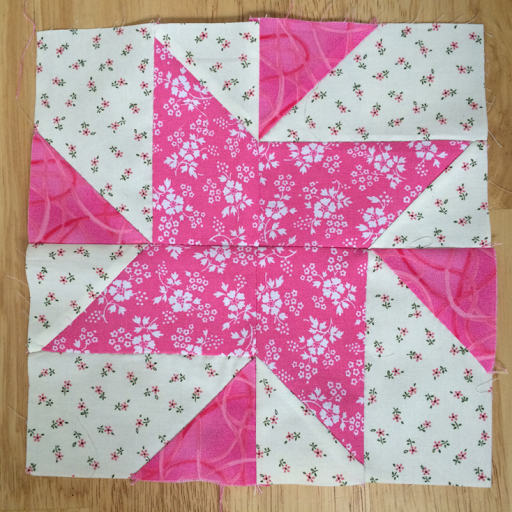 My own eight and a half inch square block is for a charity group quilt for MacMillian. Have a go yourself x.